Fusing Georgian elegance with a contemporary cool aesthetic, Treseren is a new wedding venue set on the North Cornwall coast. Situated just 10 minutes from the sea, Treseren is set in a secluded and private location in the heart of the Trewithen countryside. 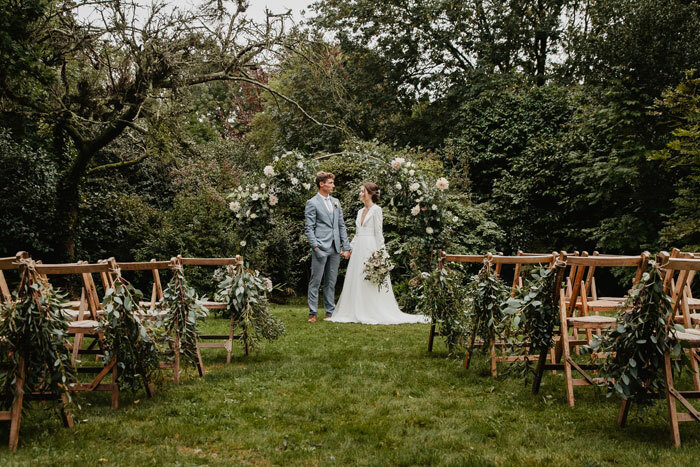 With two and a half acres of grounds, flower-filled gardens accessed by winding paths and south-facing terraces and lawns, Treseren is a rural wedding retreat which offers exclusivity. Following sympathetic renovation and restoration by Paul and Emma Caddis of Elemental Interiors, Treseren now offers a mix of old and new. Licensed for civil ceremonies for up to 20 people, couples looking for a small-scale wedding with attentive service and homely accommodation will find just what they’re looking for at Treseren. Elopements designed just for two are also available with champagne on arrival and breakfast in bed; prices start from £995. The venue is also dog-friendly and permits up to two dogs.